11th March 2017 was the day when verdict of five key Indian states had to be announced. 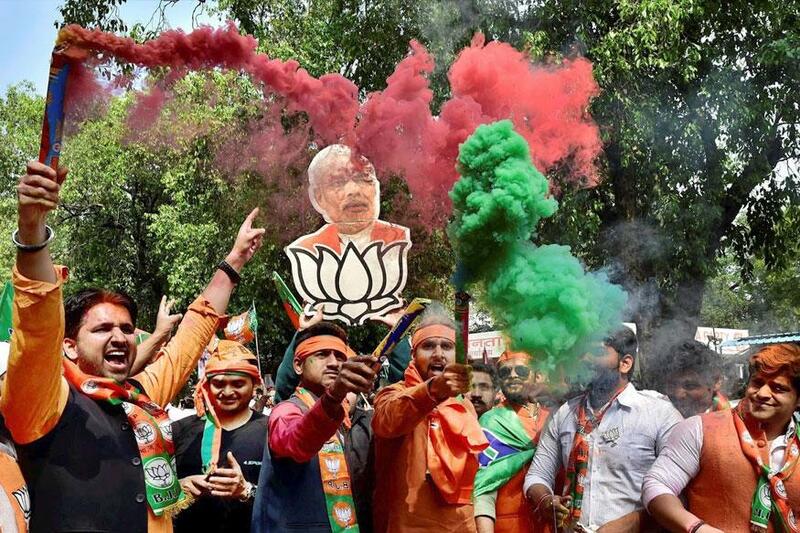 Some upsets, some expectations coming true that is how the day went but the surprising thing for the outsiders was that despite loosing three of the five states it was contesting in, ruling party BJP was able to maintain the view among the country’s political pandits that ‘it’s support is still intact’ and Why not so? after all it had clean sweep one of India’s most populous regions like UttarPradesh and Uttarkhand.So did failure in Goa, Manipur and Punjab didn’t matter? It certainly did but these weren’t the places where Modi derived his 2014’s mandate from,nor is their contributions into Indian Lok Sabha as such that for winning them he will be taking an extra mile or be making a major political shift. So what is the rough conclusion one can make? What these result mean to me is, that Modi‘s BJP can no longer be defeated in states where Hindus makeup majority until all major opposition parties ally as they did in Bihar. Similarly it can no longer win the states where Hindus are in minority as happened in Punjab, Goa and Manipur because the non-hindus feel highly insecure from this charged involvement of Hindutva into politics. They think the secular brand of India on which they want to sustain is being threatened by it. 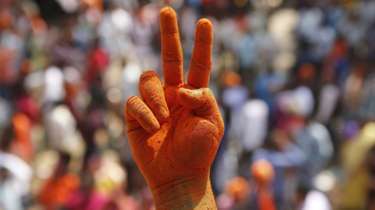 Elections these days around the globe have been upsetting but if we come to India, much went according to the predictions except the Punjab chapter. 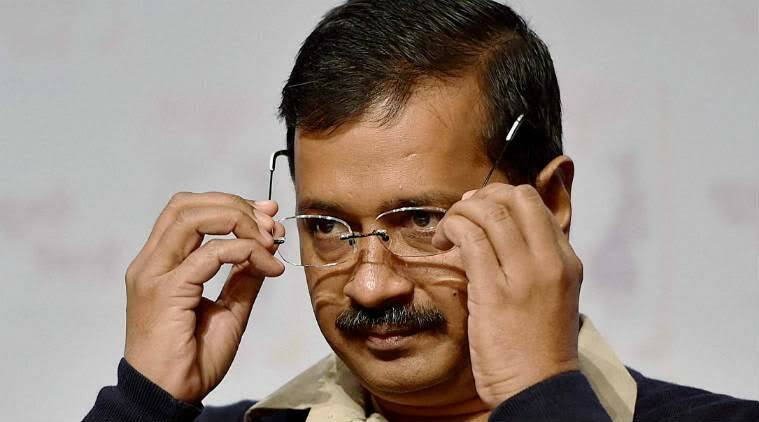 You saw the surveys, you saw the exit polls, you saw the ground interviews kejriwal’s Aam Admi Party was dominating everywhere but in the results a party which till yesterday no body was expecting to secure second place even, won. That was the real upset! So what with the AAP went wrong? In my view it underestimated the Sidhu factor and then not having a chief ministerial face was what backlashed, but has it’s national stage ambitions came to an end by this defeat? Not at all but it Did failed in getting what otherwise would have been its. Now come to Uttar Pradesh, which being India’s most populas and most politically representated state undoubtedly was the most important. If any state had the potential to change the political landscape of the country certainly it was it. Had Modi lost UP, it would have been taken as a referendum against him. So the stakes were quite high and he made it sure that the ground was pitched well. 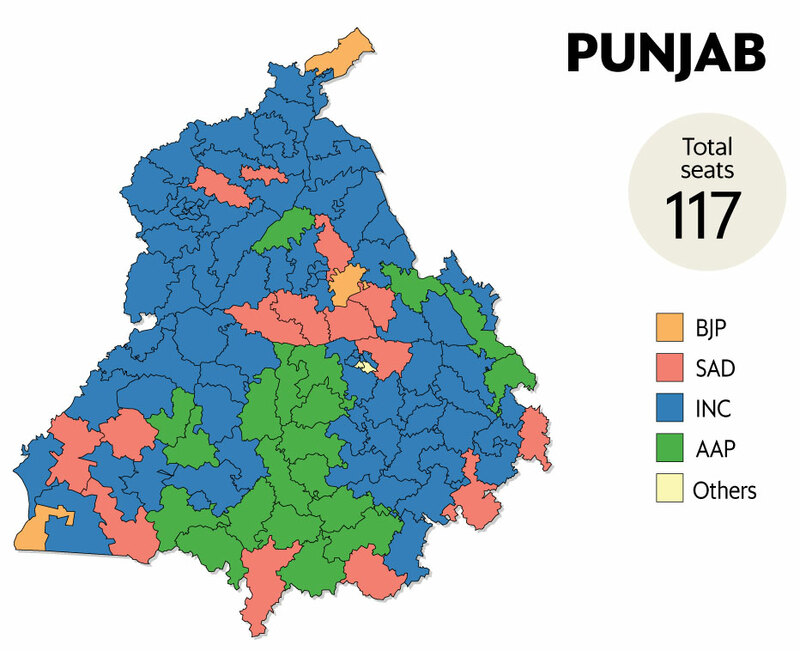 BJP’s most of LoK Sabha seats in 2014 came from here but it was long time after that it was expecting to form a state government, making it a tricky slope. The results were up-to expectation and Bhajpa came with clear majority. This meant that it’s original support even after three years of ups and down and intolerance debate was intact and that it has the potential of winning 2019 even but Does it means that BJP is unbeatable? and what did with the opposition went wrong? These are the question I’ll be answering in this article. If you track the Bihar elections that were the only real upset Modi had to face so far.These were the results which proved that the BJP’s success isn’t as immortal as it seems. A state which it earlier won like UP, and was expecting to win back in state elections despite the unchanged vote share it lost due to alignment of major opposition forces. 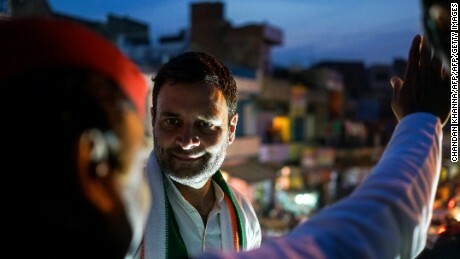 If BJP has to be defeated and the so called Modi wave has to be inerted Bihar model has to be followed.That’s what Anti-Modi forces in UttarPradesh failed in doing.If instead of aligning with collapsing congress, Akhilesh Yadav’s Samajwadi Party would have had allied with Mayawati’s BSP, the party which received third largest votes in 2014 and maintained its 21 percent vote share in these elections,they could have won the UP with an ‘iron fisted mandate’.Akhilesh overestimated the congress factor, with a similar cost in terms of seat adjustment to pay he could have won over BSP. Sharing stage with Rahul Gandhi, a person considered to be symbol of dynastic politics for his mere 7 percent illusionary support bank, if made any gains it certainly weren’t for him.In my view it’s time that he analyses wether this compromise which ended up damaging his clean perception among people which he so far was able to maintain, even worth the cost he ended up paying? 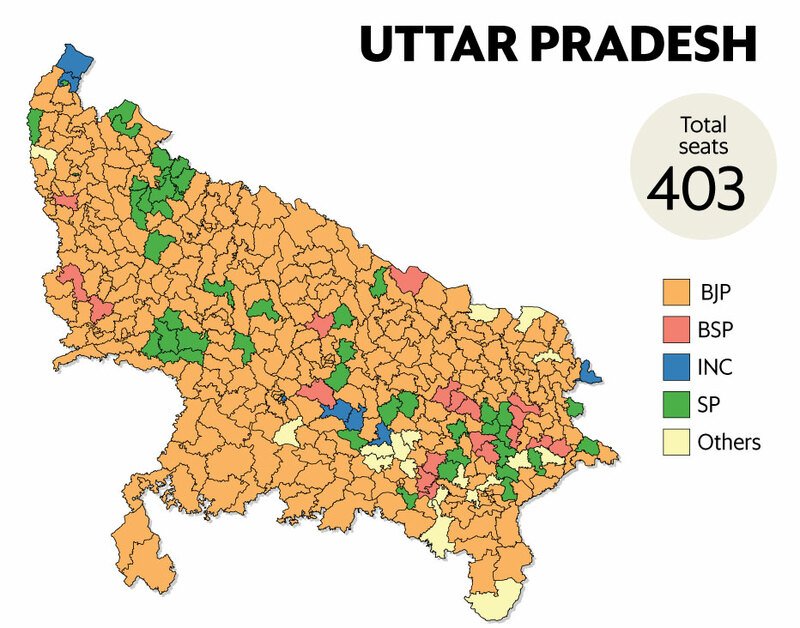 One thing which people keep arguing about in regards to electorates of India, especially the UP is the Muslim vote bank. Before coming to how determinant could it be? let me make it clear that wiether they even are a functioning polity or not.In the sense that all of them will be voting for a particular group or party they are not but in the sense that they will be voting against a certain party or a group they do are. Overwhelming majority of them wether they be in Delhi, Maharashtra or any other corner of the India vote against BJP and this could have been capitalised to stop it in a state like UttarPradesh where they makeup around 20 percent of the total population. What went wrong was that this highly influential polity was divided between SP and BSP making it non productive.If this won’t have been done and major opposition forces like them would have aligned this vote bank could have capitalised in a far better way. BJP may not be unbeatable but it doesn’t has much to worry about until it’s standard 35 percent original support bank is intact and the opposition forces it has to face are divided. If this trend continues, there won’t be much problem Modi will be facing in winning 2019 general elections even. 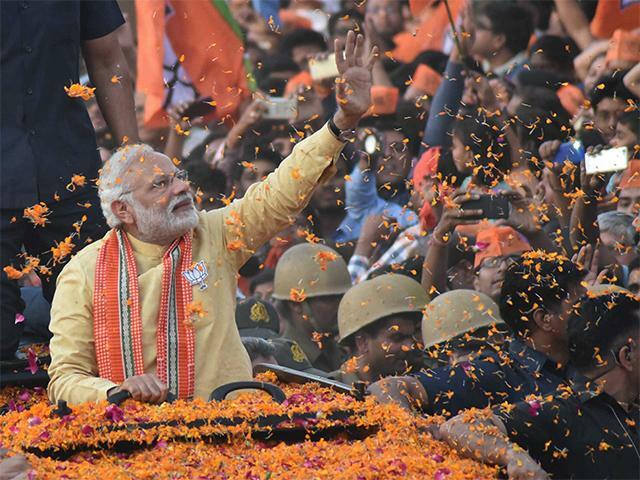 The majority and the mandate may get thinner but he’ll be making a second time even if his opponent’s remain parted.But yes there do is a limit to which hindutva could be sold, there is a limit to which fueling nationalism can translate and that limit will be the second term after that Modi’s support will start to shrink. Hamza Abbasi is a political writer and A’Levels student from Bahawalpur, Pakistan.